That was one Benedictine College’s student’s reaction when an industrial accident in Atchison, Kansas, caused local schools to evacuate Oct. 21. The campus was ultimately safe, but the situation did seem ripe for metaphor. Both students’ comments were not that far from Father Michael Gaitley’s message on campus: At America’s dark moment, Divine Mercy is our only hope. But it is more than the hope of a desperate last act, he said. Divine Mercy is the one power that can transform our future. The popular Marian Father of the Immaculate Conception priest limped into town with a bad cold at the end of a whirlwind tour of Catholic colleges early last week. His voice was hoarse and his energy drained, but he came alive when he addressed hundreds of Benedictine College students. His mission: To encourage students to consecrate themselves to Divine Love and obtain “all the leftover graces no one asked for” before the end of the Year of Mercy. At Benedictine, the election was very much on everyone’s mind, since the talk coincided with the final Trump-Clinton debate. Calling his remarks “the Thérèse vs. Faustina debate,” Father Gaitley said not only was there no reason for despair: There was reason for great hope. Father Gaitley is author of the popular book on Marian consecration called 33 Days to Morning Glory. His new “do-it-yourself retreat” book promotes consecration to Divine Love in the manner of St. Thérèse of Lisieux and St. Faustina. He spreads both through the parish-based organization Hearts Afire. And others are promoting it as well. Kansas City, Kansas, Archbishop Joseph Naumann invited his flock to join him in making the consecration. 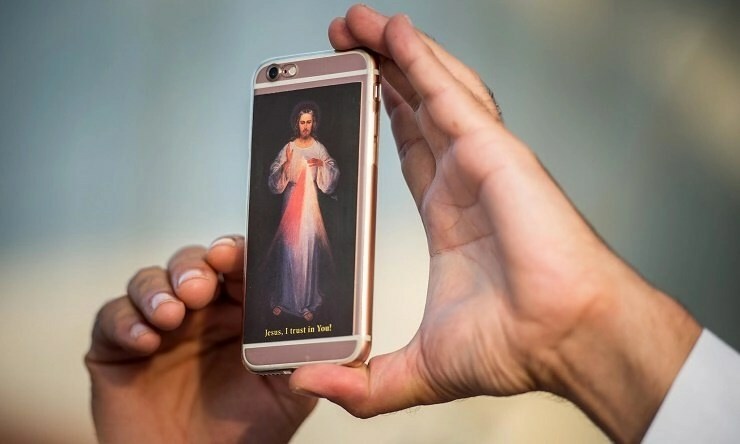 “I cannot think of a better way to conclude the jubilee Year of Mercy than making this do-it-yourself retreat in preparation for consecrating yourself to Divine Mercy,” wrote the Archbishop. In the Diocese of Albany, Bishop Edward B. Scharfenberger also invited his entire diocese to consecrate themselves to the Divine Mercy by the close of the extraordinary Jubilee Year of Mercy, on Nov. 20. Father Gaitley’s message is simple. Using humor and down-to-earth language he explains that it is actually possible to become a saint. He knows his audiences won’t believe him, so he works through objections one by one until the divine logic is irresistible. Ultimately, we all want to be saints. The message has done wonders in Albany, which he visited dozens of times over the summer. “It was like a grace bomb was dropped on our diocese,” says Bishop Scharfenberger. The United States desperately needs to be bombed by grace. The situation seems bleak and hopeless. Political power is a key to human flourishing: the right to life, religious freedom and economic prosperity. But there is one power on earth that is greater. I believe him. We will be astonished by what today’s young Catholics accomplish, with God. And so will the devil.